Some have responded to Neeson with right condemnation. Others have praised his honesty to open the conversation. What should our response be? With tears in our eyes, we nod in despair – not only at him, but at how his comments expose what the Bible says about him, about me, and about the rest of us. Neeson’s racism meant he grabbed a cosh to murder; we are rightly horrified. But who, in anger, hasn’t grabbed a cosh of their own – whether racially motivated or otherwise? ‘The way of peace they do not know’ (Romans 3:17). Neeson puts this in his own words. Neeson wanted revenge for the violence done to his friend. So he went looking for violence himself to get some twisted justice that only leads to more violence. Praise God that there’s a better way. 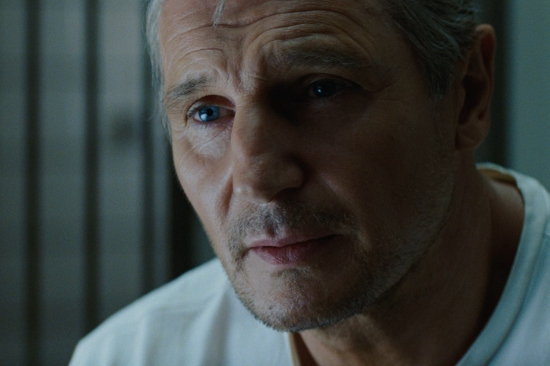 The only justice that brings the peace Neeson craves is God’s justice. God’s judgment fell on Jesus instead of us for our hateful, racist and vengeful sin (John 1:29). Christ bore God’s own justice for our hate crimes. And only the peace that this brings can melt away the sin of racism and murder, hiding away in our souls (Ephesians 2:14). Only this peace can make way for an unconditional love for all people against which God’s grace will never – can never – discriminate.